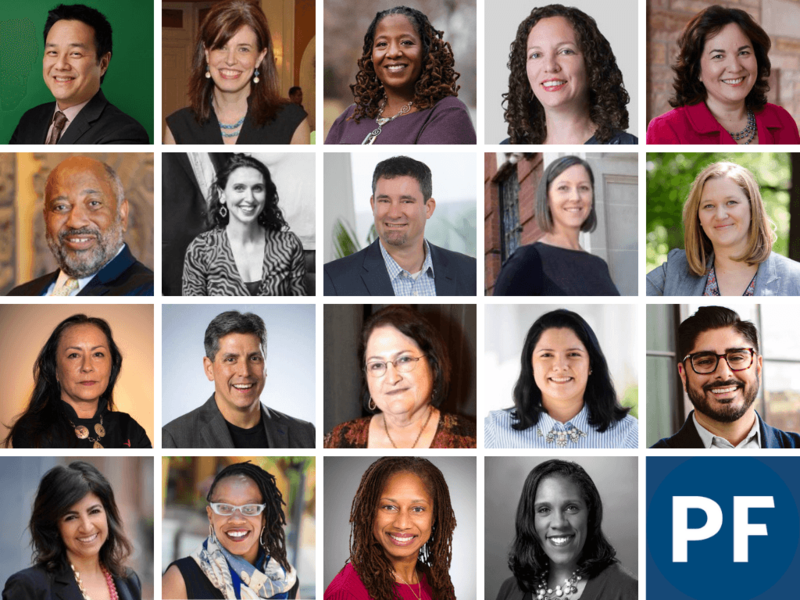 The Aspen Institute Forum for Community Solutions and Neighborhood Funders Group are excited to announce the second cohort of Philanthropy Forward. Launching in September 2019, this dynamic cohort will work together as strategic thought partners on philanthropy’s most challenging issues. With a focus on supporting grassroots power building for racial equity and social justice, Philanthropy Forward is a dedicated space for leaders to organize together and boldly advance the transformed future of the sector. This growing fellowship of visionary CEOs from progressive philanthropic institutions is aligning to build a financial engine for social change. 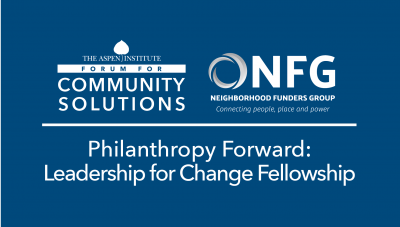 Philanthropy Forward: Leadership for Change Fellowship is a joint initiative of the Aspen Institute Forum for Community Solutions and Neighborhood Funders Group. For more information about the program, click here.